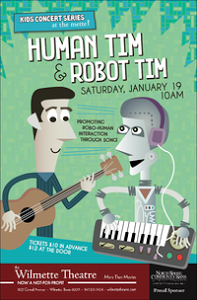 Enter HERE for tickets to Human Tim + Robot Tim & full show details. Enter here for tickets to The Ice Cream Vendors and full show details. 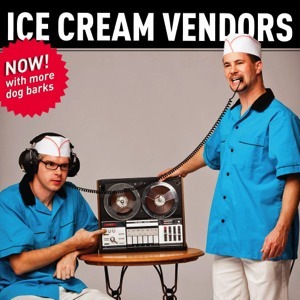 Born out of a modest home recording studio buried deep within the Chicago suburbs, it’s hard to believe the unique musical institution known as The Ice Cream Vendors was originally conceived over twenty years ago. What was founded in friendship has over time produced several cassette tapes and a CD, live performances with a full band and horn section, and a road-less-traveled approach to songwriting that has become the pride of Westmont, IL. Check back with ChiIL Mama like we vote in Chi, IL...early and often. Coming soon: Baby Loves Disco 4 Pack Ticket Giveaways to all Chicago dates in their new digs at Lincoln Hall! 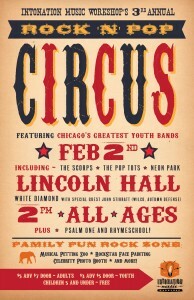 We're also giving away tickets to Intonation Music's Rock N Pop Circus!